« Day 138 in Beijing: Steve McQueen. The King of Cool. 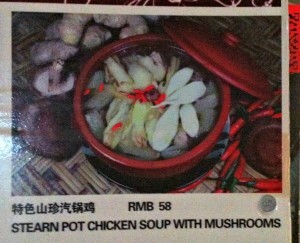 Day 139 in Beijing: Food Fun and Southern Barbarians. 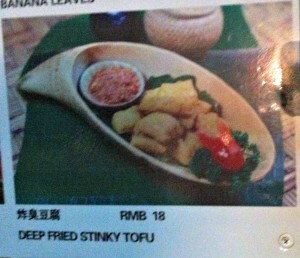 Nothing satisfies like Deep Fried Stinky Tofu! 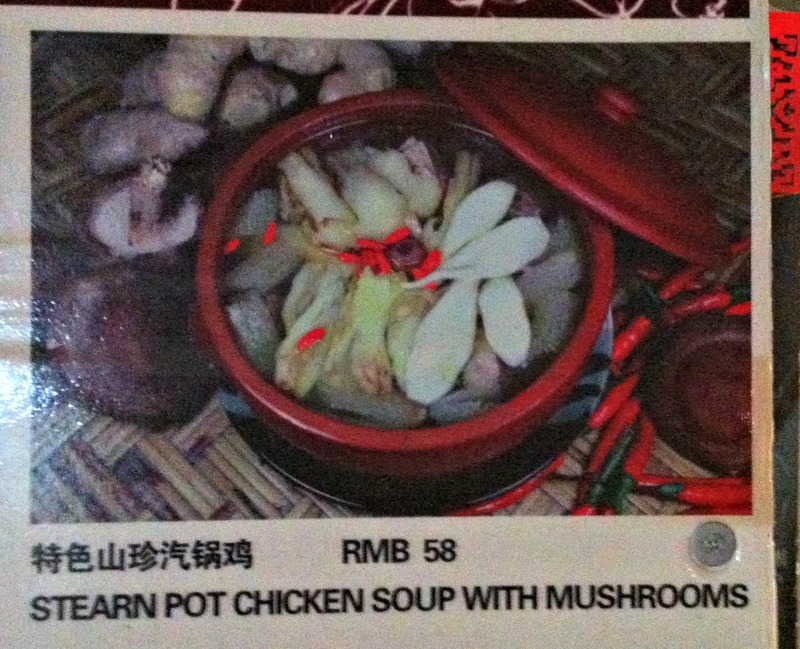 I imagine some very grouchy Jewish grandmother taught them how to make this dish. 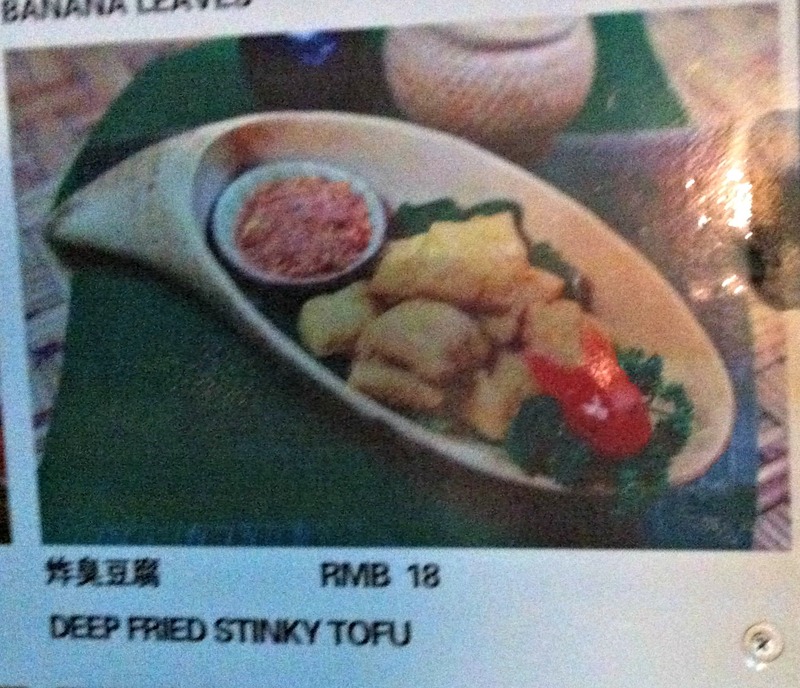 There are so many different types of food in Beijing it is almost mind boggling. You can eat food from pretty much any province in China, any area in Europe and most parts of Northern and Southern America. I haven’t seen a lot of Russian food yet but I’m sure it is around. I enjoy walking around and taking pictures of different menus and as Jill and I walked around yesterday, we saw these two. I’ll start posting more as I come across ones that have cute or funny translations. We didn’t end up eating at this restaurant because we had reservations with our friend, Brian, at another restaurant, but we will stop by. The food looked amazing and the prices were about 5 dollars American for each dish. 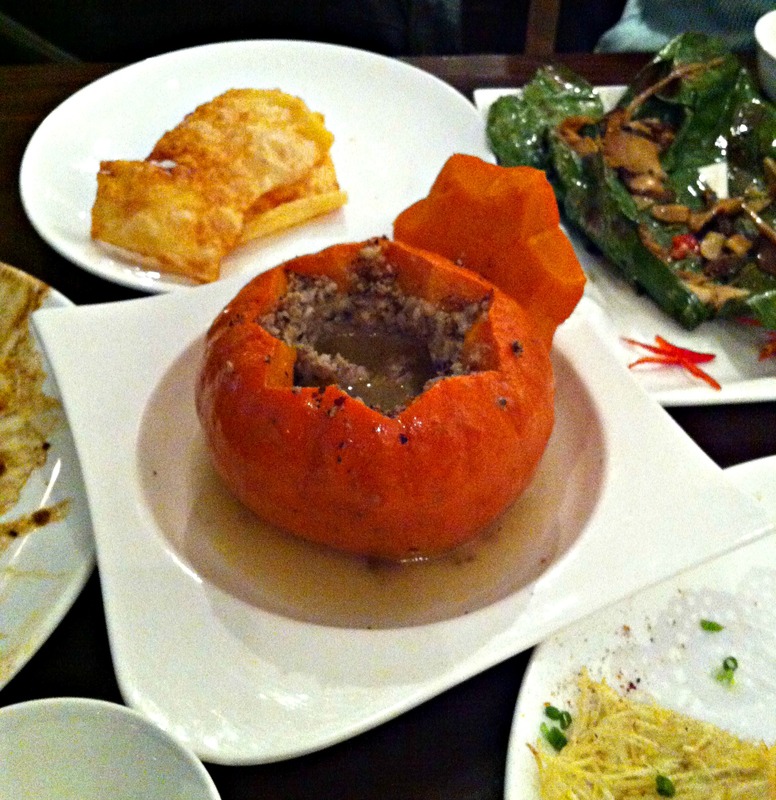 Minced pork and truffles in a pumpkin and other dishes. Our friend, Brian, suggested Southern Barbarian. It was fantastic. According to TripAdvisor.com, it is the 70th ranked restaurant in Beijing out of 9,412 total. Brian, Jill and me at Southern Barbarian. Amazing food, staff and atmosphere! 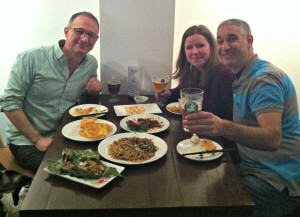 The food was amazing, it was very fairly priced, and they had many different types of beer from all over the world. The food was Yunnan province style which means quite spicy and very flavorful. 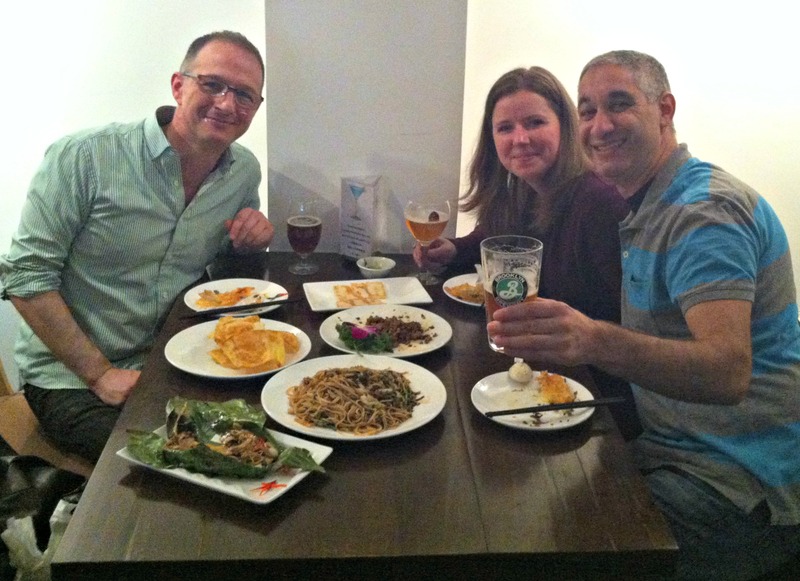 We had a wonderful time catching up with Brian and thoroughly enjoyed our meal. We had about 7 dishes that ranged from crispy potato cakes to multiple types of mushrooms wrapped in banana leaves to flash fried pork with chili sauce. All were amazing.